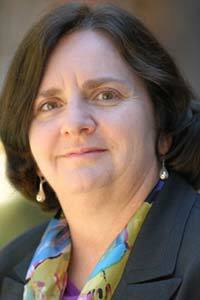 Dr. Lynette Merriman is Assistant Provost for Student Affairs, Support and Advocacy. Lynette has worked in the Division of Student Affairs since 2003, most recently serving as a senior associate dean. Prior to joining the division Lynette held positions in the School of Pharmacy, Department of Nursing and the Thornton School of Music. She began her career in undergraduate admissions over 25 years ago. Lynette’s portfolio includes Student Support and Advocacy, Student Judicial Affairs and Community Standards, Disability Services and Programs, the Center for Women and Men, Asian Pacific Student Services, the Center for Black Cultural and Student Affairs, El Centro Chicano and the LGBT Resource Center. She works extensively with departments and services (e.g., Health Center, Counseling Services, Department of Public Safety, and Academic Units) throughout the University to assist students and their families. In addition to her responsibilities in Student Affairs, Lynette holds a faculty appointment as an assistant professor of clinical education in the USC Rossier School of Education. Lynette received her bachelor’s degree in journalism from USC, a master’s degree in higher education and a doctorate in education from UCLA.